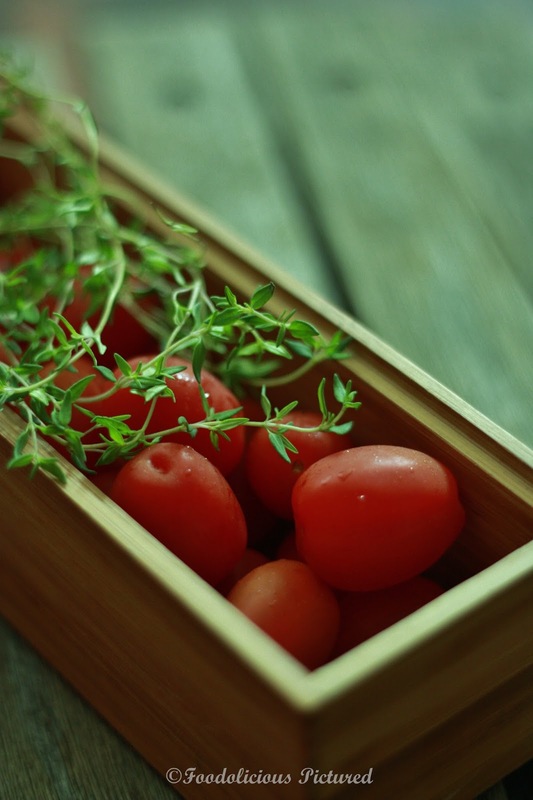 Cut the tomatoes into half and place them on a baking tray along with the garlic. Sprinkle the thyme, salt, pepper. Drizzle the balsamic vinegar and olive oil. Bake them for 30-40 minutes or till the tomatoes have shrunk and slightly caramelized on the sides and the garlic is soft and mushy. Remove and set aside. Heat olive oil in a heavy bottom sauce pan and add the onion and dried basil. Cook till the onions are soft. Add the carrot and the tomato puree and cook briefly. Add the stock and bring to a boil. 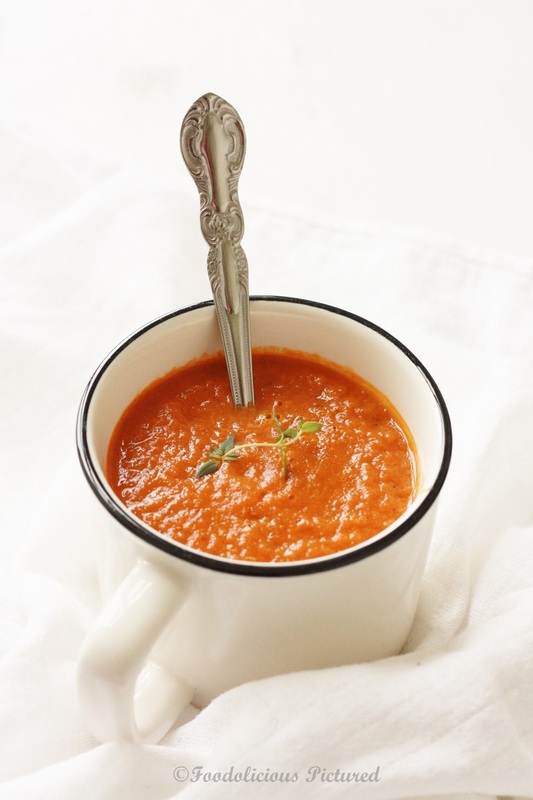 Remove the garlic peal and tip the roasted tomato and garlic into the soup. Cook for 20-25 minutes or till the carrots are tender. Turn off the heat and using a hand blender blend till smooth. Add little hot water to adjust the consistency of the soup if required. Check for seasoning. Into the serving bowls and serve warm. 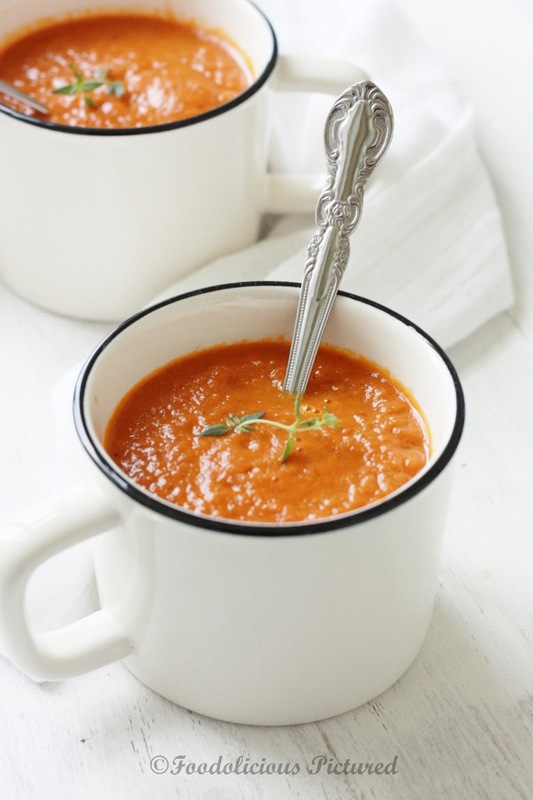 My other half will jump high over this tomato soup, what more with toast. Definitely a must try for him. It looks so inviting. Awesome! 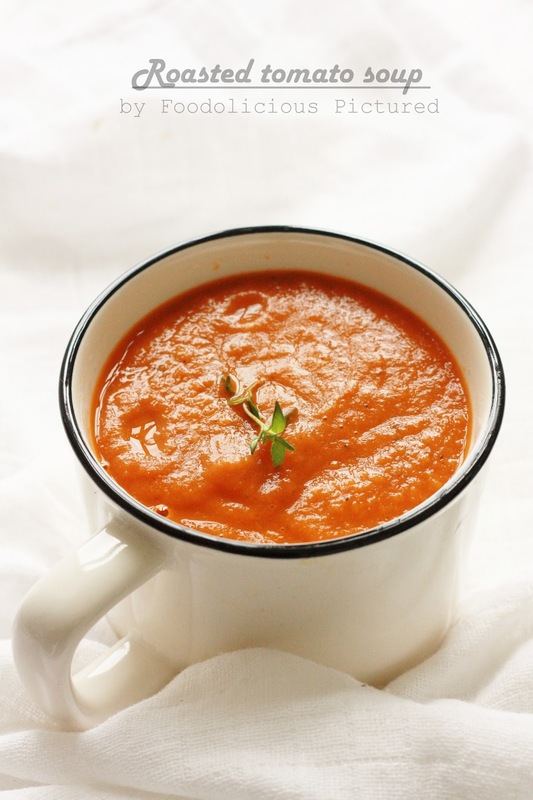 Yummm..its cold here..would love to have that bowl of soup right now. Such a comfort food. Wow. awesome photographs. i am ready to attend your photography class suppose if you are teaching:) Amazing. I can able to take my eyes off from your photographs. Absolutely love the color of the soup! I have a lot of grape tomatoes on me, so this is surely dinner tonight! Love how simple it is, Rekha..and you pictures again are gorgeous! 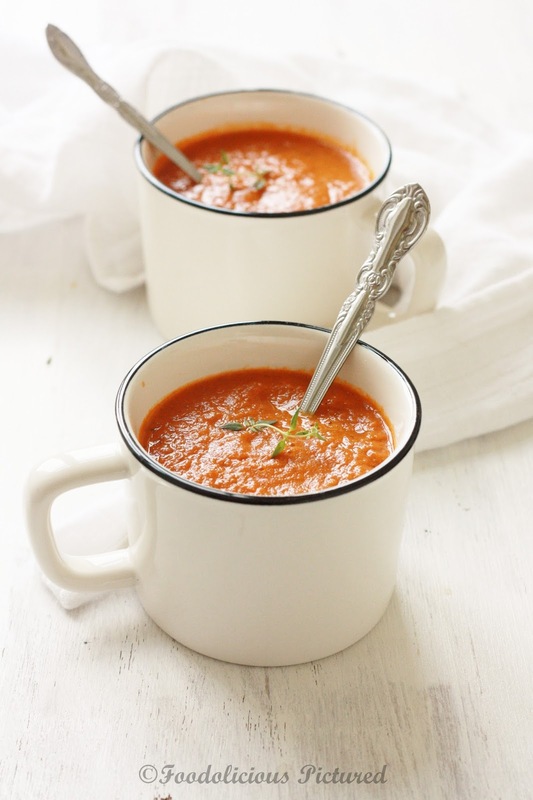 love the thick tomato soup.. Inivting color.. This soup looks really tempting! Love your photography – such a gorgeous light and vibrant colours! 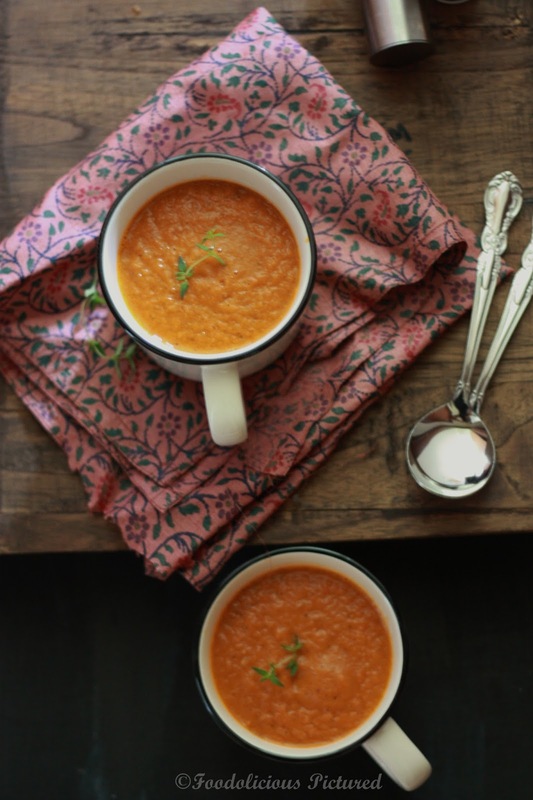 I love love love ur pics..what a beautiful colour…I rescently tried raosted tomato for a pasta sauce and loved the flavour…looks yumm..
All those flavors, oh wow, sure tastes good. 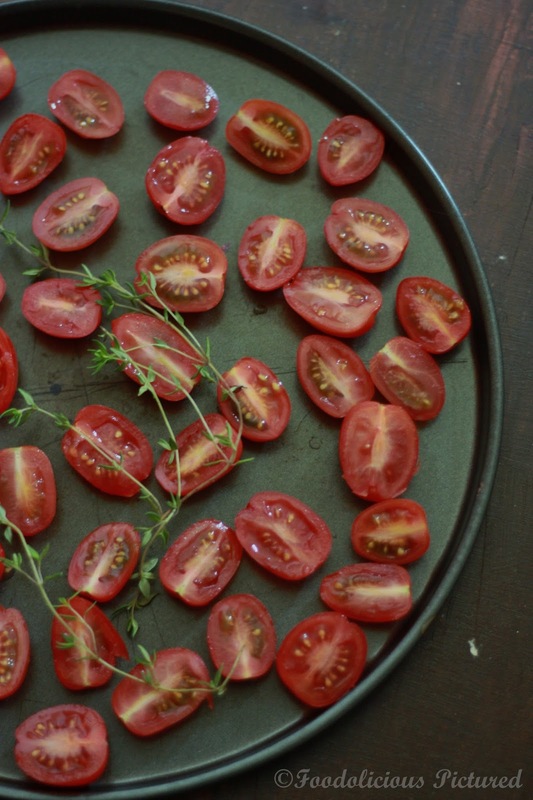 Roasting definitely brings the best of tomatoes. looks so good. Pinning it. Looks so great and perfect.. lovely photography! !